We collect no personal information (PII) about you when you visit our site unless you choose to provide this information to us. Submitting personally identifiable information through our website is voluntary, but by doing so, you are giving your permission to use the information for the stated purpose. Not providing certain information may result in our inability to provide you with a service you desire. If you choose to provide us with PII on a Department website, through such methods as completing a web form or sending us an email, we will use that information to help us provide you the information or service you have requested or to respond to your message. The information we may receive from you varies based on what you do when visiting our site. You may choose to provide us with personal information, as in e-mail with a comment or question. We use the information to improve our service to you or to respond to your request. Sometimes we forward your e-mail to other U.S. government agencies who may be better able to help you. Except for authorized law enforcement investigations, we do not share our e-mail with any other outside organizations. Every effort is made to provide accurate and complete information. However, we cannot guarantee that there will be no errors. With respect to documents and information on this web site, neither the embassy nor its employees or contractors make any warranty, expressed or implied, including the warranties of merchantability and fitness for a particular purpose with respect to documents available from this web site. Additionally, the embassy assumes no legal liability for the accuracy, completeness, or usefulness of any information, product, or process disclosed herein and does not represent that use of such information, product, or process would not infringe on privately owned rights. 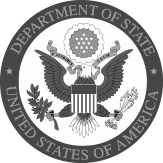 For site security purposes and to ensure that this service remains available to all users, the State Department uses software programs to monitor network traffic to identify unauthorized attempts to upload or change information or otherwise cause damage. Unauthorized attempts to upload information or change information on this service are strictly prohibited and may be punishable under the Computer Fraud and Abuse Act of 1986. Information also may be used for authorized law enforcement investigations. Except for the above purposes, no other attempts are made to identify individual users or their usage habits. Unauthorized attempts to upload information and/or change information on these web sites are strictly prohibited and are subject to prosecution under the Computer Fraud and Abuse Act of 1986 and Title 18 U.S.C. Sec.1001 and 1030. Persistent: Persistent cookies are saved on a user’s hard drive in order to determine which users are new to the site or are returning, and for repeat visitors, to block recurring invitations to take the ForeSee satisfaction survey. If you do not wish to have session or persistent cookies stored on your machine, you can turn cookies off in your browser. You will still have access to all information and resources on our website. However, turning off cookies may affect the functioning of some websites. Be aware that disabling cookies in your browser will affect cookie usage at all other websites you visit as well.